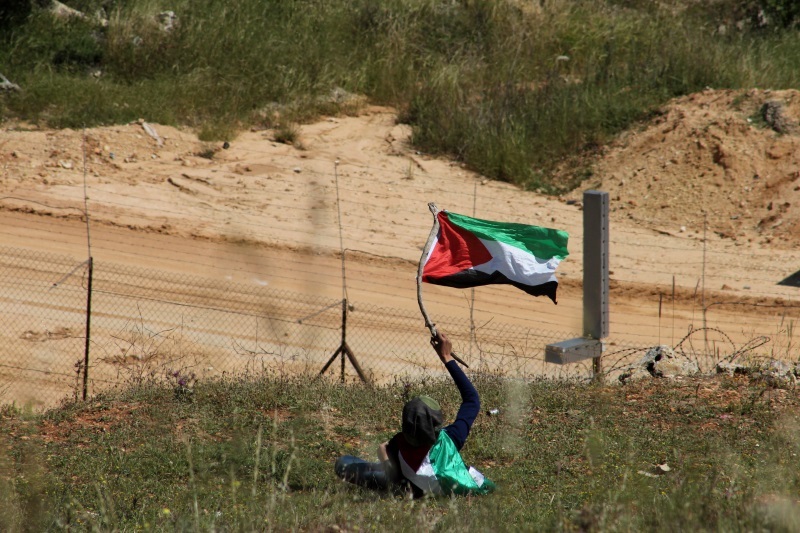 If in central Ramallah one can sometimes be deluded that the occupation does not exist, in Ofer – outskirts of Ramallah – this is never the case. 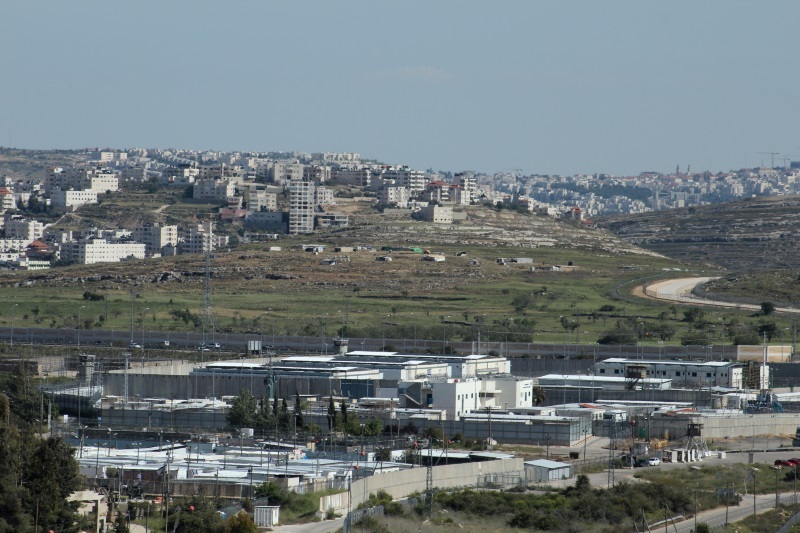 Ofer is an Israeli military compound that includes a prison, detention and interrogation cells, and a military ‘court’. Hundreds of Palestinians are being held there and receive sentences in a military court system that convicts Palestinians at a 99.7% rate. Ofer is technically in Ramallah yet Israel’s Apartheid wall sneaks right around it, cutting off Palestinians’ access to their occupied capital Al-Quds [Jerusalem]. The ancient city can be seen from the hills on which local youth confront Israeli occupation army every week. The young men know very well that one day they, too, could end up in the occupation prison that was established in their neighborhood. Israel currently holds more than 6,000 Palestinians in its occupation dungeons. Yet freedom is a cause to fight for. 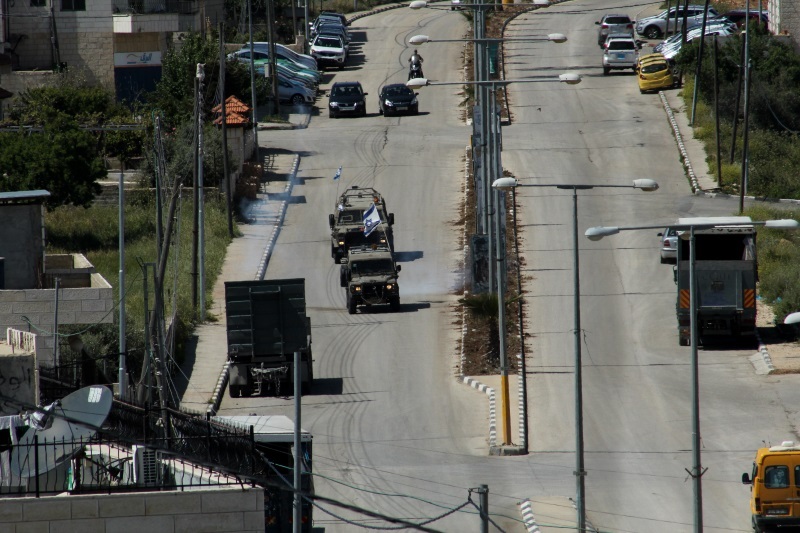 Confrontations in Ofer are not organized by the popular struggle committees as are Friday demonstrations in Kufr Qaddum, Nabi Saleh, or Bil’in villages. Ambulances are rarely present and oftentimes the injured, of which there have been hundreds, have to be carried to hospital in private cars. The youth here are on their own. 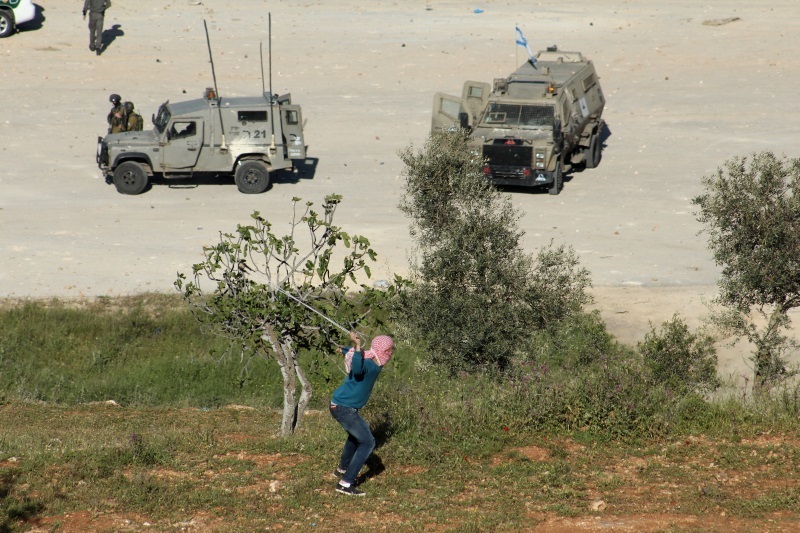 On Friday 24 April 2015, Palestinians confronted the occupation army once again. Border police joined in too, and Israeli police cars were present. The usual force used includes live ammunition, tear gas, and steel rubber-coated bullets. 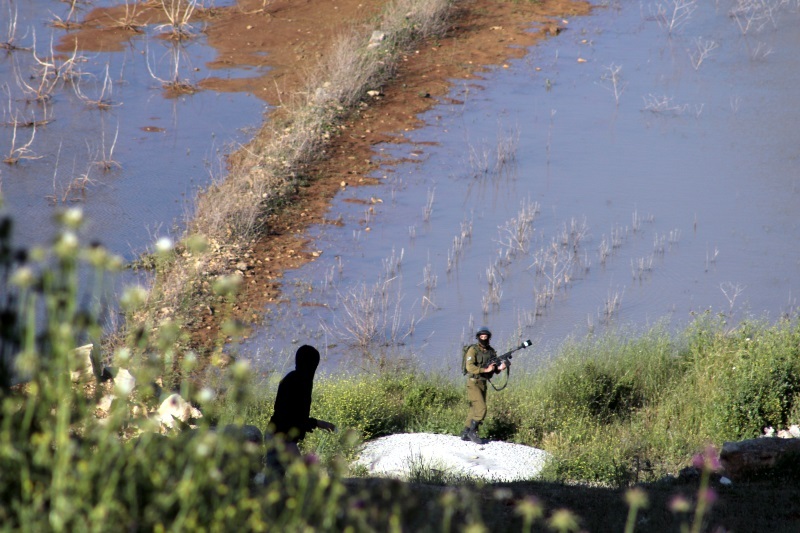 Nine people were reportedly hit by steel rubber-coated bullets and, after chasing the youth back and forth for hours in an attempt to wear them down, the Israeli army invaded the village and kidnapped a teenager (14-15 years old) and his bicycle. The boy, witnesses say, was just riding in the village and did not participate in the defence against armed attackers. Ofer Israeli military compound. Occupied Al-Quds [Jerusalem] in the horizon. Stone against the world’s fourth mightiest army. 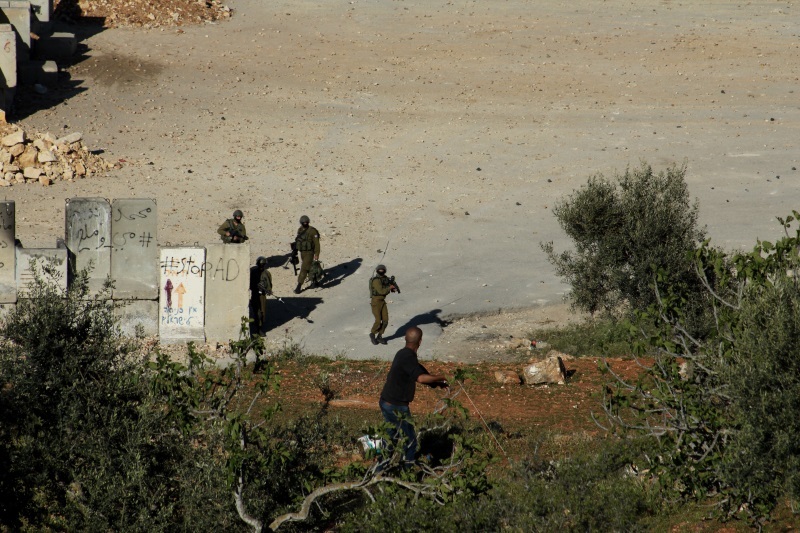 Heavily armed Israeli soldiers ready to shoot tear gas at unarmed civilians. 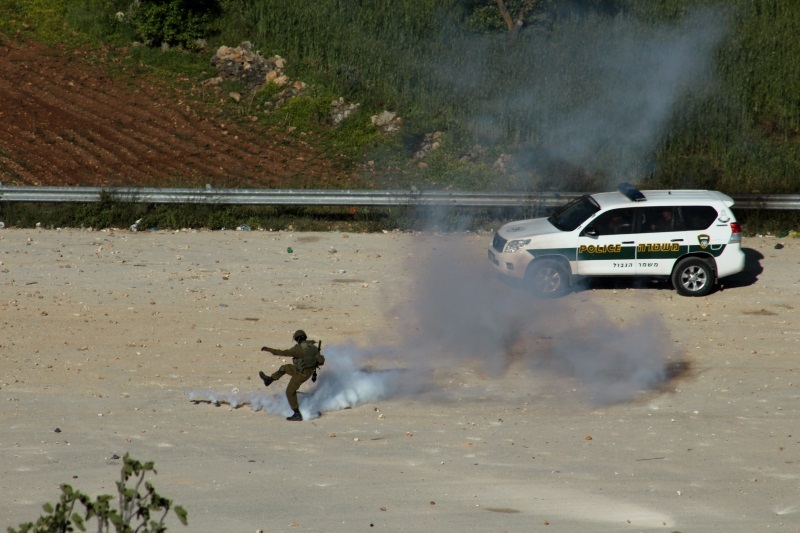 Israeli soldier kicking a tear gas canister that was shot in the wrong direction. 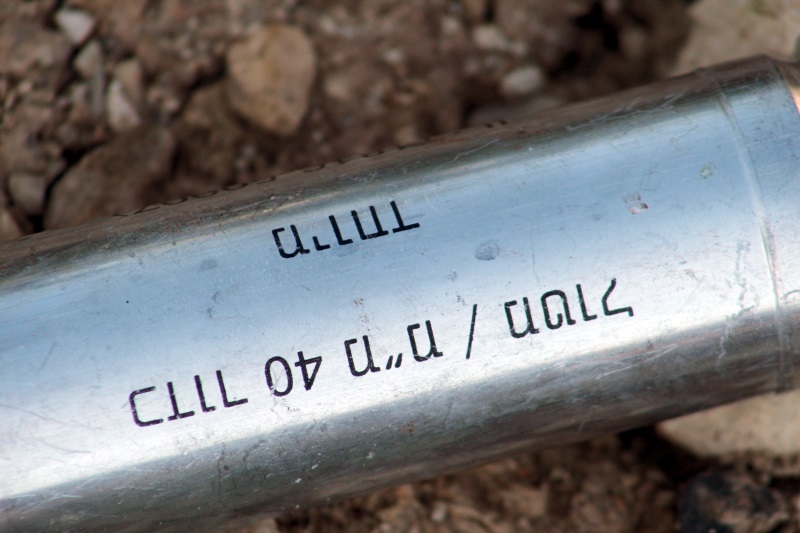 Tear gas canister used by the Israeli army. 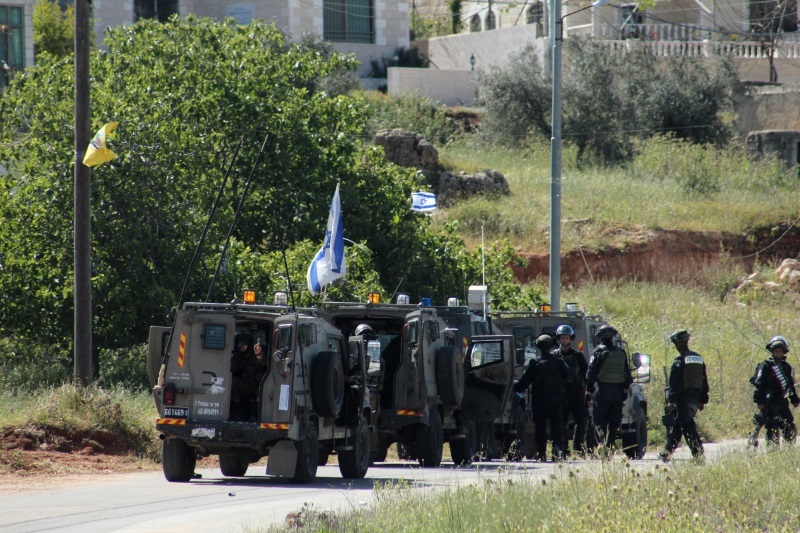 Israeli army and border police jeeps gathered in the village to chase local youth. 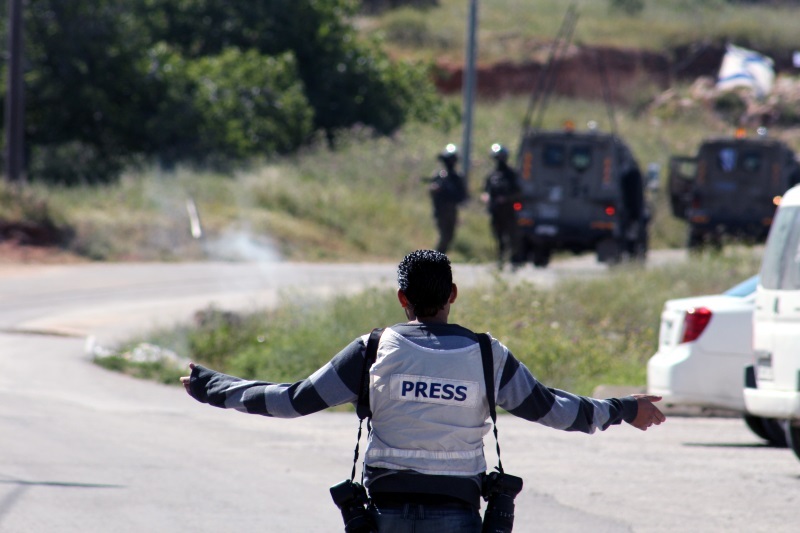 Israeli soldiers fired tear gas directly at clearly identified members of the press.